« Trash & Ready returns! 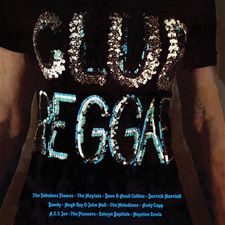 First up is the compilation Club Reggae. This LP has been a staple of every bargain bin of second hand reggae albums since it first came out in 1971. As such I wasn’t massively excited when I saw a CD version. 12 tracks mostly well known and of varying quality, the theme that drew them altogether in 1971 was that these the kind of reggae tunes you might hear amongst the Motown and emerging glam rock in your local youth club or night club. This release sold by the bucket load first time round and spawned a further six releases, none sold as well as the first but all managed at least a few truly great tracks. On the first volume these include U Roy – Wear You To The Ball, Andy Capp – The Law, Hopeton Lewis – Boom Shaka Lacka and the Melodians – Rivers Of Babylon. If you don’t have these tracks already it’s a no brainer really but even if you do then it’s still worth considering this as it holds together nicely as a compilation and certainly represents a bit of UK reggae history. 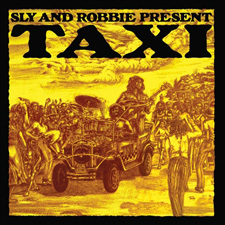 Jump forward a decade and Island Records were doing deals with Sly And Robbie to give them their own Taxi imprint in the UK. To showcase the Riddim Twin’s productions the Sly And Robbie Present Taxi LP was released in 198. This gathered together tunes from around 1979 onwards and again whilst something of a mixed bag is generally pretty strong and features some out and out classics such as Dennis Brown – Sitting And Watching, the Viceroys – Heart Made Of Stone and Junior Delgado – Fort Augustus. This release carries both Island and Trojan logo’s. As parent company Universal own both catalogues this mix and match approach is something that we’re likely to see plenty of though the Trojan name seems to be the main brand for the companies reggae product.